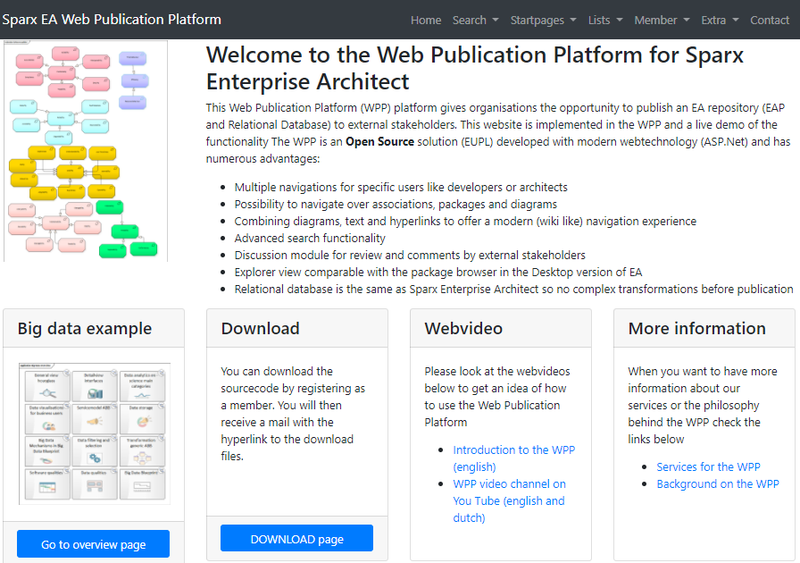 This article outlines how customers can migrate from BizzDesign to Enterprise Architect. Many EAxpertise customers mentioned licence costs and additional factors have made them consider migration. 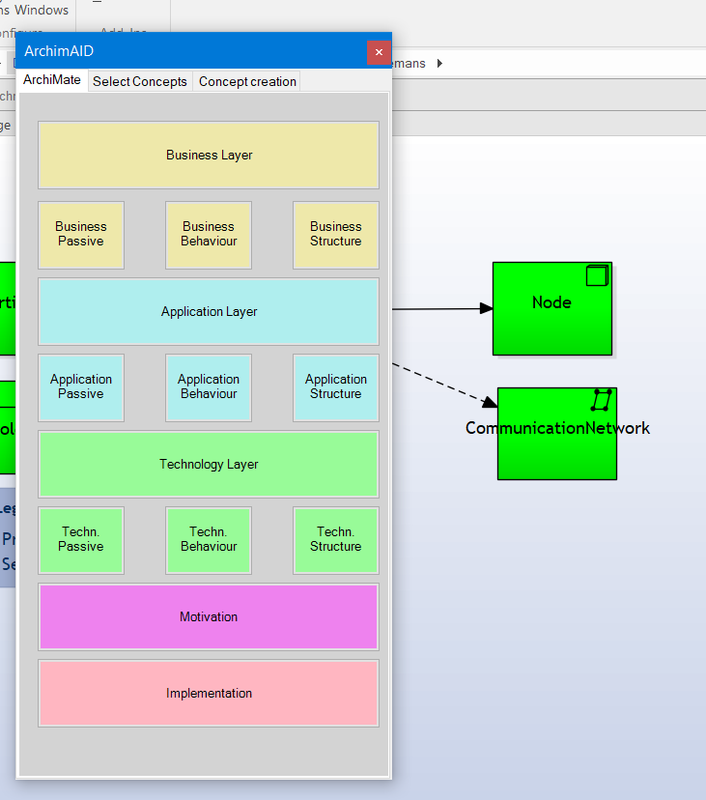 Enterprise Architecture modelled in ArchiMate 3 models. This can be migrateusing the Model Exchange Format standard in the ArchiMate 3 definition. Business processes modelled in BPMN models This can be migrated with the BPMN exchange format. 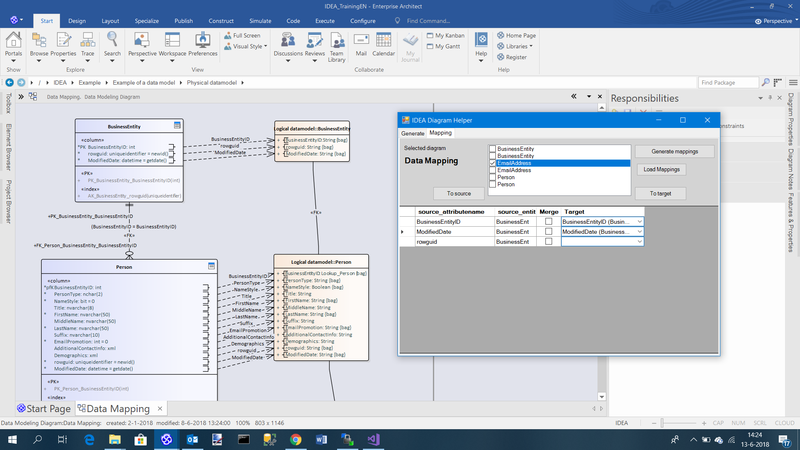 Data Models modelled in the Enterprise Data Model. For this part of the model there is no exchange format so we had to develop a solution for this. We first tried to develop a solution based on a script, but we needed a simple user interface to control the steps so we decided to extend the IDEA DLL with this functionality. The image below provides an overview of the functionality. The last option needs a little explanation. BizzDesign has the option, just like Enterprise Architect, to add hyperlinks in the notes that link to other elements in the repository. However they use a different internal format for these hyperlinks. This functionality transforms the format of the hyperlinks to the Sparx Systems Enterprise Architect format. An extra remark is needed for the counter under the load data button. This is used for loading the worksheet with that ordinal position in the workbook file. EA Assistant functions for deduplication, HTML generating and more. an EA training day, with a small number of in-depth sessions led by approved EA training partners. a ‘traditional’ EAUG event day - presentations, case studies and user stories. For this two-day event with a training day, 100+ attendees, and speakers from around the globe - of which you could be one! We will meet in the heart of the country next to Utrecht Central Railway Station, so if you want to join us. Plase note that all session will be in English! Are you an Enterprise Architect, Software Designer, Business Analyst or Business Process Analyst? Do you use Sparx Systems Enterprise Architect? Are you interested in two days full of information exchange on the usage of Sparx Systems Enterprise Architect. Extensions like MDGs in and for EA. Then you should not miss this EA Usergroup event at Utrecht on 27 and 28 September 2018. At this event EAUG we will offer a day with training and in-depth sessions (a session lasts more than three hours). This will be at 27 September 2018. Data Management modeling for modeling data governance, ownership, privacy and security and data qualities. The IDEA elements like the viewpoints and scripts etc are developed based on Open Source and a community. This means that the community is a group of organisations and people who benefit from the developed products. They can therefore do suggestions for new functionalities. Everybody can become a passive member of the community. This means that you only have to register at this website and after that you receive an email with a link to all the downloads. Active members have the possibility to define functionalities and based on their requirements and input extra material is developed. Based on there requests a sponsor pays for the development costs. Advantage for active members is that they define the functionalities but share the development costs. When you want to become an active member please contact us via the contact page. As proficient Enterprise Architect user we like to contact you about the Enterprise Architect User Conferences in Utrecht on the 27th and 28th of September 2018. This two days event will be a training day (Thursday 27 september) where in depth sessions of three and a half hour are offered. The Friday (28 september) will be a regular conference with sessions of 45 minutes in the tracks EA@, modelling and HowTo. Currently we are collecting the session abstracts and speaker bios since the event is direct after summer holidays so early action for a full and interesting agenda is required. We would like to invite you to do your proposal via the following url: http://eaxpertise.nl/eaugproposal.aspx. When you fill in your email address in the first step you can fill in your bio and photo (the first time) and add one or more session abstracts. Of course you can also send your information to the email address below. We hope to welcome you in Utrecht at 27 or 28 september! 28th of september a "tradional" user group with three tracks of sessions about use cases, experiences on modeling, reporting and repository usage. This day will have two keynotes of generic Sparx related subjects. The conference will take place close to the central raiway station of Utrecht in the Netherlands so it is very well reachable by train and car. More details about speakers, sessions and other participant relevant subjects will be published via the regular communication channels and via a specific landing page (which is currently developed and will be avialable via http://eaxpertise.nl ). We hope to meet you in september in Utrecht! Version for MS-SQL repositories and Form Factory database platform. The product is again available as Open Source Platform and can be downloaded by registered users of the Web Publication Platform. Registration is easy by introducing your name and email address. Also the service and cooperation model is adapted to support the community in contributing and collecting new requirements and functionalities. When you want to take a look at the online demo version please visit http://wpp.eaxpertise.nl. Interested in downloading the material (sample project) please visit the registration and download page. Currently I am involved in a number of projects where Sparx Systems Enterprise Architect is introduced as a central repository for large architectural teams. EA is a great tool for that and supports a team approach very well with various functionalities. 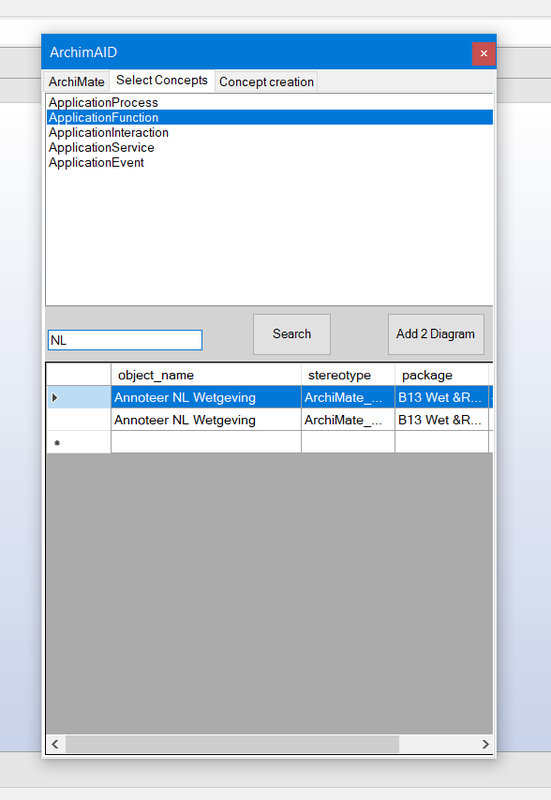 Especially the Project Browser, the Search functions (see for example http://eaxpertise.nl/CMSForm.aspx?webpage=archisearch) and the Toolbox setup are well suitable in large projects. A relatively simple process but due to the various screens in EA supporting these steps architects are often not willing to take all the steps and add a new element from the toolbox right away. 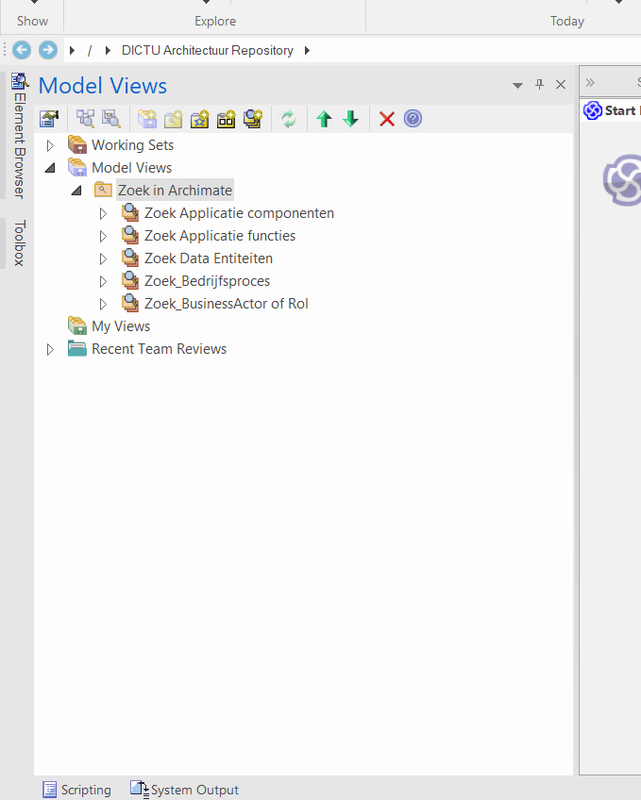 This screen gives an overview of all the aspects views of ArchiMate (mostly an architect knows from which aspect he or she wants to add an element). 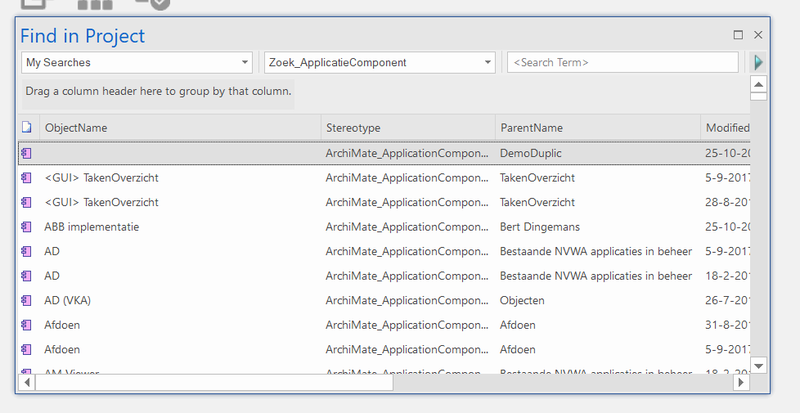 Based on the selection in this first step the second step is displayed in which you can select one or more ArchiMate concepts to do a search on (or display them all in the search result screen). See the picture below. When you find one or more elements in the search result grid a the bottom of the screen you can select these elements and then press the Add 2 Diagram button. The selected elements are then displayed in the active diagram. When the architect can not find any element relevant for the diagram he or she can then add an element to the repository . This is available in the last tab of the screen and has the following visual representation. The name of the new element, the stereotype and the notes are filled in and the Create on Diagram button is pressed. This creates the element in the repository and on the diagram. For the initial implementation of ArchiMate elements these attributes are sufficient. This extension of the functionality is availabe in the open source extension for EA that is available via the the link where this add on is described in detail. Go therefore to the download page of TEA. Please feel free to use this function in your own situation, when you want extensions on this you can contact us via the eaxpertise website. When you make extensions by yourself we encourage you to share this with us. One of the challenges of a teambased architecture repository based on the ArchiMate language is to reduce the number of duplicate entities. With duplicates I mean an Archimate concept with the same name and stereotype that has two or more instances in the repository. 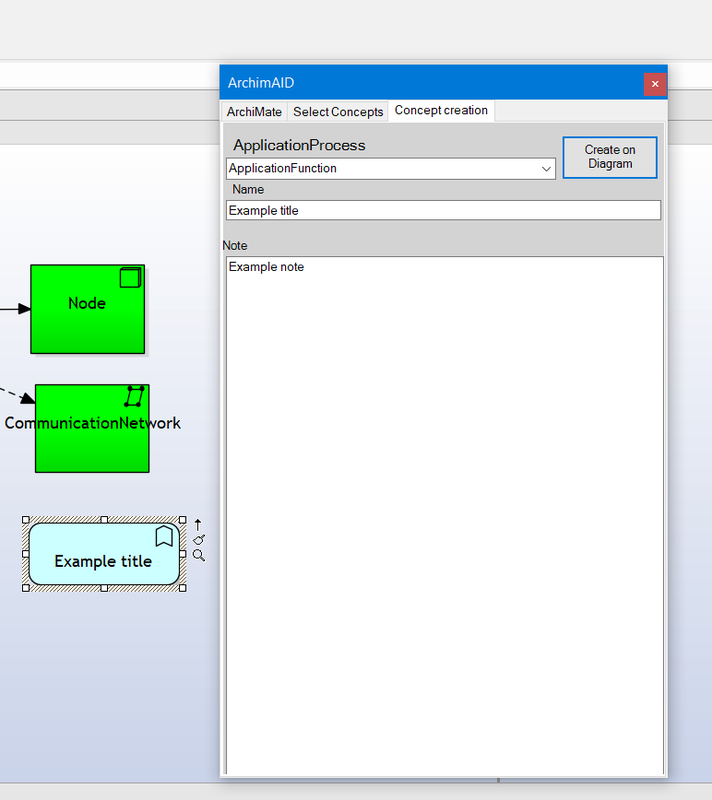 The modeller is not interested in the full content but only in ArchiMate elements of a specific type. 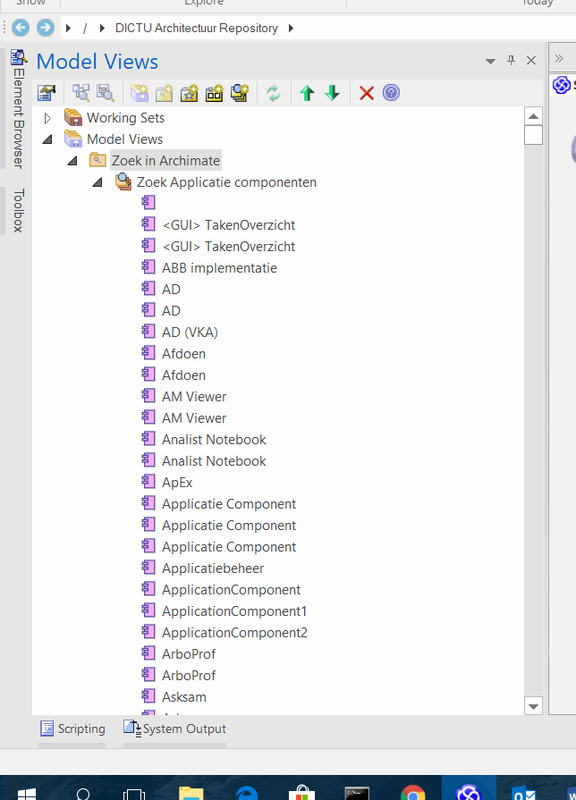 In this image you see that we can search for application components only and the list is by default sorted by objectname. This will help us in a later stage in user friendliness. The SQL statement is given below. This helps us a lot in finding the relevant elements relatively fast however the search screen has a number of limitations in which selecting all the time the right query is relatively user unfriendly. However luckily Enterprise Architect has another screen for implementing this user friendly approach in a convenient way: the model view. 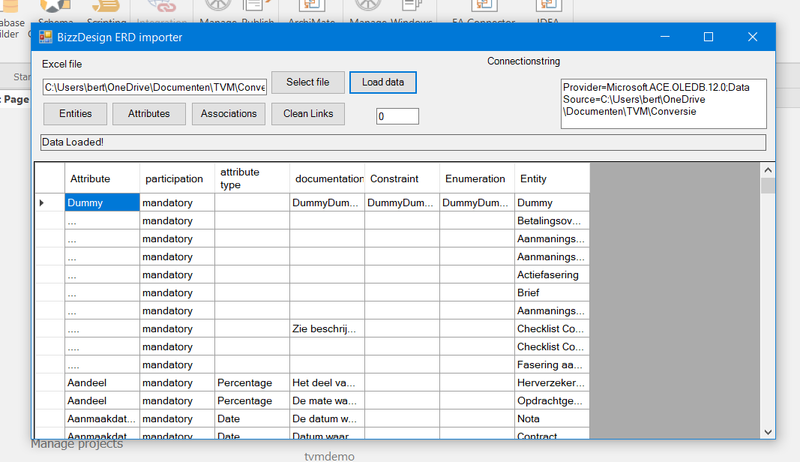 In this screen you see a sample of a number of ArchiMate specific searches based on their stereotype. When you expand one of these searches you get the list of elements based on this stereotype. Since we have a combination of a keyword search and a full search (on the stereotype) the modeller can select the approach that best fits his needs. In the view you can select an element by typing in the first characters another option is to open the conext menu and go to the search function in EA and now we open the richt search immediately. For download of this solution or for downloading other scripts or add ons please visit the eaxpertise website. Would you like to contribute to a worthwhile day of sharing knowledge and techniques around the use of Sparx Enterprise Architect? Whether you wish to talk about user experiences tools, methodologies and/or your experiences in this field, you are welcome to present your (non commercial) ideas on June 10th at the Dutch Enterprise Architect User Group event.